Take a bite out of the Big Apple with Van Galder! This tour is consistently ranked a Van Galder Tour & Travel favorite by passengers. Hop on board this morning and travel through the beautiful Midwest states of Indiana and Ohio before stopping to rest in Youngstown, OH, for the evening. 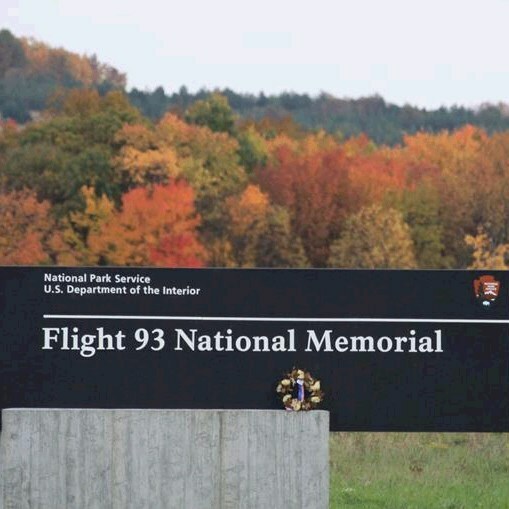 FLIGHT 93: Explore the new interactive visitor's center, view the final path of the plane, and pay tribute to the 40 passengers who lost their lives in fighting the first war on terrorism. "STATUE BY NIGHT CRUISE" ON THE NEW YORK WATER TAXI: Narrated one-hour cruise on the East River viewing the glistening Manhattan skyline, the beautifully illuminated Statue of Liberty, Lower Manhattan, and the Brooklyn Bridge. Tonight will definitely be a night to remember! 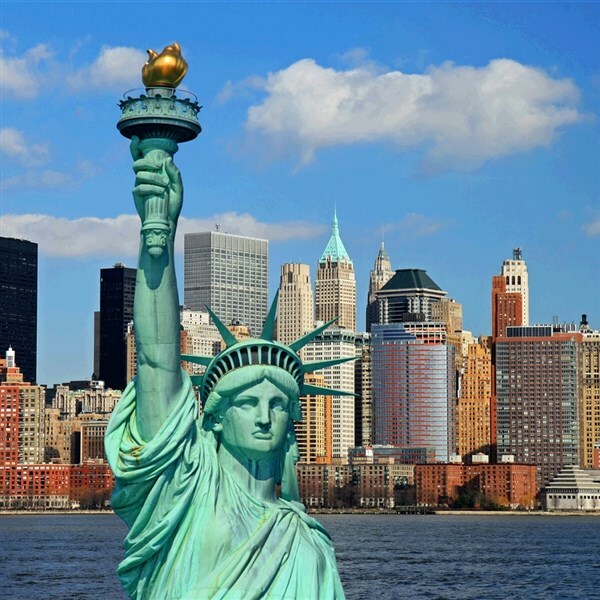 NEW YORK CITY TOUR: Experience the Big Apple through a local's eyes during a half-day motorcoach tour with a true New York step-on guide. Don't forget the camera! NEW! 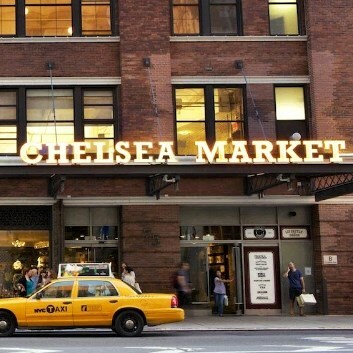 CHELSEA MARKET: This busy afternoon wouldn't be complete without a quick stop at this iconic shopping and eatery complex. Enjoy a bit of time to explore and enjoy lunch on your own. Shop around for unique souvenirs, wines, cheeses, bakery items, and more! GRAND CENTRAL TERMINAL: Enjoy a guided tour and learn all about this iconic spot! No matter what day of the week you visit, you're sure to feel the energy of NYC. 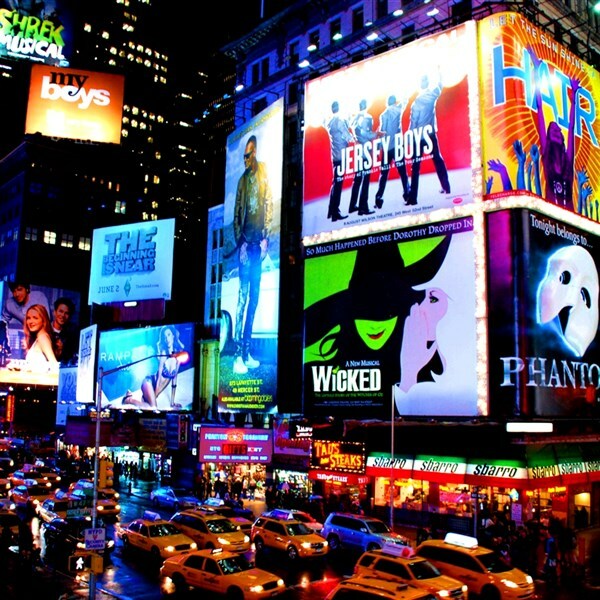 TIMES SQUARE: It's the city that never sleeps! Catch the neon lights at this iconic intersection nicknamed, "The Crossroads to the World." Bring your camera! THE NATIONAL SEPTEMBER 11 MEMORIAL MUSEUM: Honor the memory of nearly 3,000 people who lost their lives on that fateful day in September 2001. A guided tour through multi-media displays, archives, narratives, and authentic artifacts tells the story of the attacks and the aftermath. See the historic Survivor Stairs, the tridents, photographs, recorded testimonies, and tributes of remembrance. HERSHEY'S CHOCOLATE WORLD: Welcome to every chocolate lover's dream! Take a tour of the chocolate-making process, shop for the perfect chocolate gift, or just satisfy your sweet-tooth. Kisses, anyone? Approach hometown cities, sharing your favorite "Big Apple" adventure before saying so long to fellow passengers. ACCOMMODATIONS: Hampton Inn, Youngstown, OH (2 nights); Hyatt Place, Secaucus, NJ (4 nights). 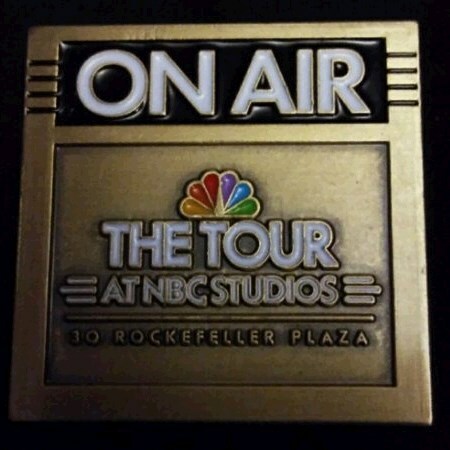 TOUR INCLUSIONS: Professional tour director, motorcoach transportation, luggage handling at hotels, accommodations, admissions/attractions, and 9 meals, including 6 breakfasts, and 3 dinners.